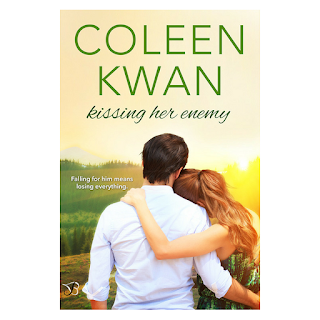 My new sweet romance, KISSING HER ENEMY, is on pre-order now. Release date is Feb 27, 2017. This is book 2 in my Pine Falls series. Each book is a standalone romance. Kissing Her Enemy is Amber and Logan's story. Amber Miller has worked hard to get her small business thriving. Now the Wright family wants to tear down her store to put up a mega center. What's worse, the guy who broke her heart in high school is the new CEO of Wright Inc. He’s just as infuriating now—and just as tempting—as he was back then, but she isn't giving up without a fight. But the more time they spend together, the harder it is to resist falling for him again. The only problem is he stands for everything she’s against.